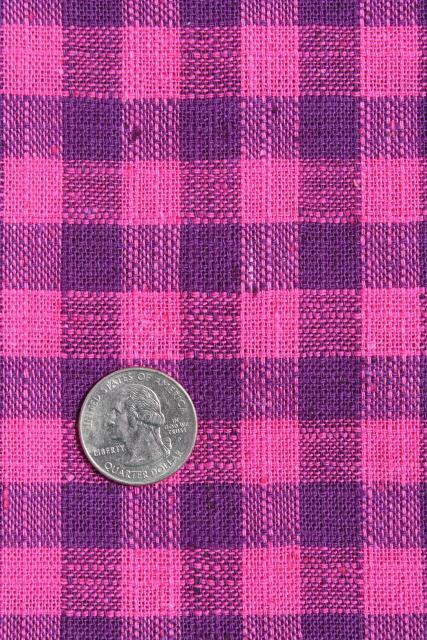 70s - 80s vintage linen or linen / cotton fabric with a beautiful homespun texture woven checked pattern. 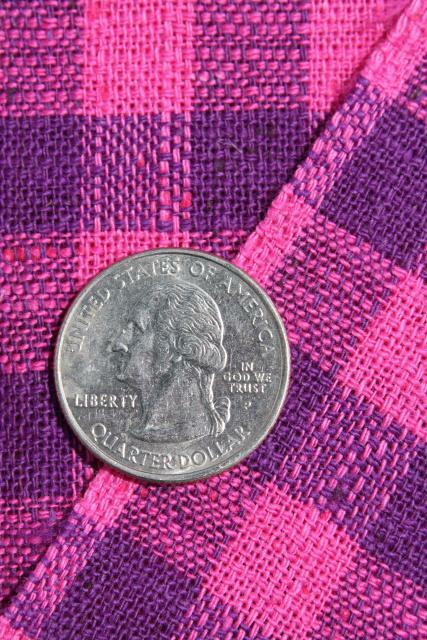 The colors are a deep plum purple and fuchsia pink. 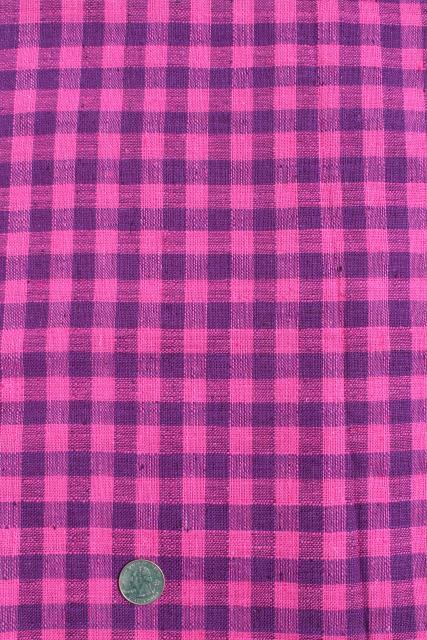 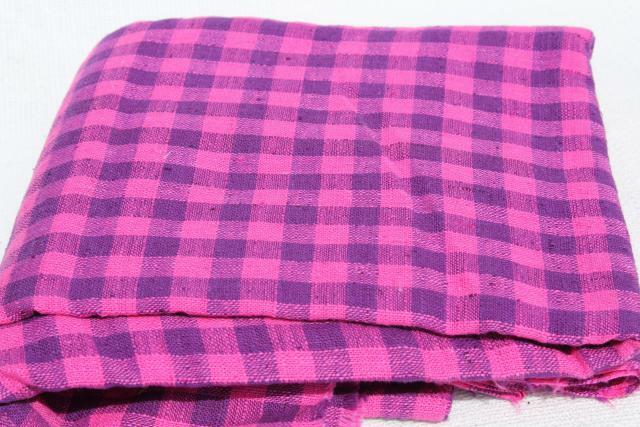 This is 35" wide x 4 yards, in excellent condition, never laundered, nice and crisp.